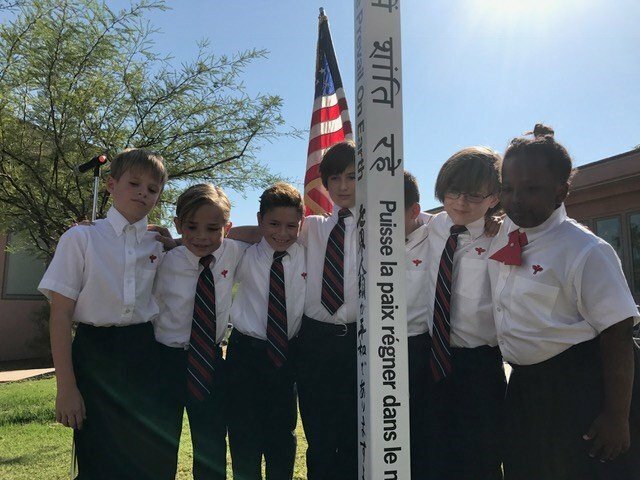 Palm Valley School in Rancho Mirage installed a peace pole as a daily reminder for students to be nice to people. "We're trying to instill in our children to have that diversity and appreciation to realize that whatever our differences are, we can have peace in our hearts," said Francene Fisher, the head of the lower school. Fifth grader Lily Jones said she was excited for the pole to be installed because of what it means to her and her friends. "We should all be kind to each other. We should all maybe not agree with each other, but all respect each other's ideas," she said. "When we look at it, we'll remember that we should always be kind to each other. We should always respect each other, and there should always be peace everywhere," Jones added. The pole has "May peace prevail on earth" written in eight different languages on it. 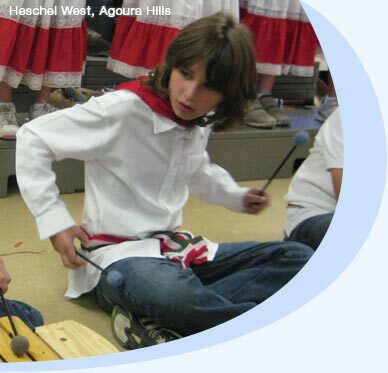 "We've got Farsi, Hindi, Mandarin, Japanese, French, English, Spanish and Cahuilla," Fisher said. There's over 200,000 peace poles around the world. "There's one on the bridge between Jordan and Israel, and one at the Vietnam memorial," Fisher explained. She said after the shootings in Las Vegas, the pole couldn't come at a better time. "To use that as a reason why we need to embrace our differences and understand each other and talk things out," she said. Lily has a message for everyone. "I want to have peace in the Coachella Valley and then start on the whole world and I would just say to respect each other because we are all equal," she said. Palm Valley School formally dedicated its new Upper School building in Rancho Mirage on Wednesday. Dignitaries at the event included Rancho Mirage Mayor Iris Smotrich, City Council Member Ted Weill, Head of School Robert E. Graves, and Palm Valley’s Board of Trustees Chair Gail Kocen. The entire school of 400 students, faculty, parents, and supporters gathered outside the new building to commemorate the occasion. The new building is a 12,000 square foot state-of-the-art facility that includes 7 new classrooms with teaching walls that incorporate the latest in interactive technology, a college counseling suite, a student lounge, and a central courtyard. The school’s signature Harkness tables are in 4 of the 7 rooms, allowing students and teachers to engage in active, discussion-based learning and teaching around a large oval table in the style of Phillips Exeter Academy. The building incorporates high speed broadband internet access to support the Upper School’s one-to-one iPad program. Built at a cost of $3.6 million, the building will transform ideas on teaching and learning in the Coachella Valley.